Blue Onyx Tumbled Necklace looks delicate and attractive. Wear it for an outing or a party you will look nice. 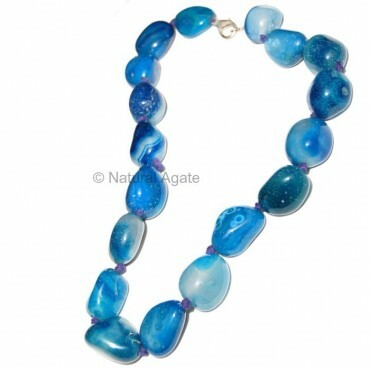 You can get it from Natural Agate.